Lexi Gregorash attends the University of St. Francis in her hometown of Joliet, Illinois. Initially, she thought she wanted to be a teacher, and she knew USF has a great education program. 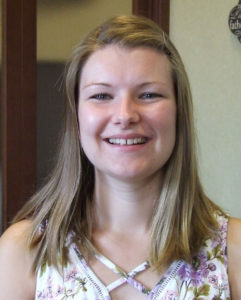 In her first year at USF, Gregorash took a general psychology course. She enjoyed it so much that she changed to major to psychology. She remained at USF because of its small classes, plus staff and faculty that always were helpful to students, she says. “I decided that I wanted to continue in psychology and then move towards counseling, mainly because I have a desire to let others know that there’s someone there who generally cares and wants to listen to them,” she says. “When I graduate from USF, I want to go to grad school to get my master’s in clinical mental health counseling.” From there, she hopes to become a licensed professional counselor and continuing advancing in the profession to licensed clinical professional counselor. In addition to being a student at USF, Gregorash is a psychology tutor, a member of the university’s Psychology Club, and she works in the USF Financial Aid Services office. Austin Wheatley is aiming for a medical career in osteopathic medicine. From Sugar Grove, Illinois, Wheatley says his grandparents’ careers influenced him to pursue medicine. His grandfather was a biology major at the University of Michigan, who planned to attend medical school and went into public health. His grandmother was a newborn intensive care nurse. 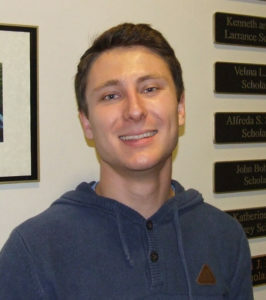 Wheatley, now a senior, majors in molecular neuroscience at North Central College in Naperville, Illinois. What brought Wheatley to North Central was baseball, which he played for two years. “Once I came here, research was a big reason I stayed,” Wheatley says. “It’s very important for medical school applications.” Wheatley has worked with a Naperville scientist, Dr. Jim Kaduk, Poly Crystallography Inc., on crystallography research. Together, they’ve published 10 papers, Wheatley says. After starting aa a biology major and then a biochemistry major, Wheatley chose molecular neuroscience because he was interested in the brain and its role in health, and also to meet some graduation requirements. He has already been accepted at the Lake Erie College of Osteopathic Medicine in Eric, Pennsylvania. Wheatley says he’d like to complete his residency in Colorado, then work possibly in emergency room trauma medicine, oncology, cardiology or neurology.